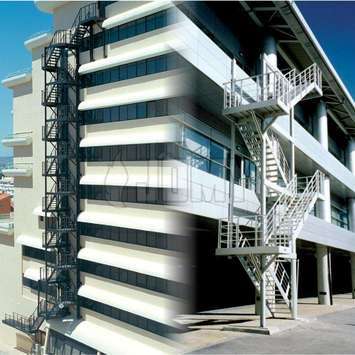 Selling worldwide since 1968, JOMY specialises in: emergency egress for public and private buildings, industry access at heights, building access, facade access and industrial structures for interior and exterior. All products are delivered direct from the manufacturer. 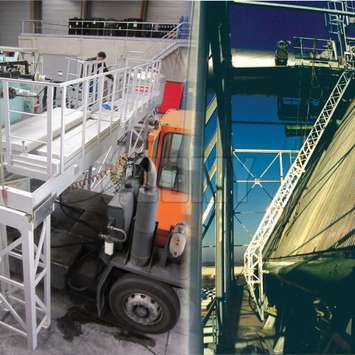 JOMY is an independent Belgian company, situated north of Liège, with a steady and healthy growth ever since its creation in 1968. JOMY Inc. is a privately owned company with more than 8 years of experience in the U.S.A. and Canada. Offices are located near Denver, Colorado. The ready to ship inventory is located in a warehouse in Illinois. We are easy to reach and very flexible in searching together for solutions to your problems. 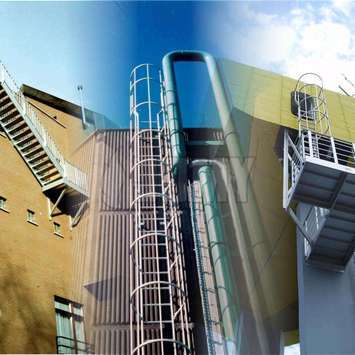 JOMY people are specialists in their field and have loads of experience in the field of fire egress. Within our group of companies we work with 8 full time engineers who are also continually searching for new structures and products. Innovation is the main strategy. JOMY started in 1968 in a small town in Belgium. The years that followed showed great progress in turnover by exporting and increasing its access and egress product range. 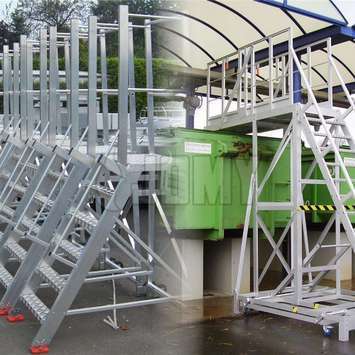 They are very few companies around that have such a long experience in aluminum constructions for your safety. 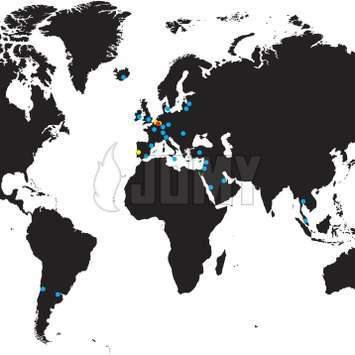 Throughout the years, JOMY has built up an excellent reputation among customers all over the world. This reputation is due to accurate and qualitative procedures and high quality products. We have references in allmost all American States and Canada. For more than 8 years, our office in Denver is at your service and we have a large inventory in a warehouse in Illinois.